Following the trend towards environmental friendliness, CSL has launched a new COMPOST TOILET. Waterless Portable Compost Toilets are becoming increasingly popular because they are waterless and require minimum servicing attention. Technically they are known as “urine separating composting toilets”. So everyone sits down to use them, boys and girls. This enables the separation of liquid waste from solid waste and stops all the nasty smells associated with compost ‘loos. It’s a simple design. Under the toilet seat is a large 60 ltr container, into which you sprinkle a large scoop of sawdust, then its ready to use. When the container is full, you simply remove the lid of the loo, lift out the container and replace with a new one. The full container is then put in a corner somewhere to allow it to decompose. After a certain length of time (up to 1 year) the compost as it now is can be used as a fertilizer on the garden. Two choices are available to dispose of the urine. You can either build a soakaway next to where the compost loo is going to be sited or you can have the outlet pipe going into a container. This way you can then water the contents down – 8 parts water to 1 part urine – and use it on a compost heap to help speed up the decomposition of your ordinary garden waste. It also acts as a general fertiliser. Convenience Services Limited are based in Hampshire near London in the U.K. and have supplied and installed cost effective portable toilet and shower solutions across the world for over 15 years. 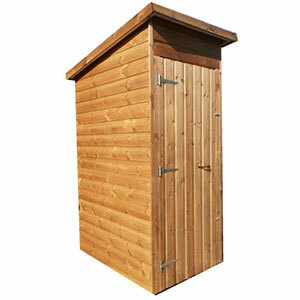 For more information and FAQ’s on the use of Compost Toilets contact us today.